Miss Rodeo Sundre, Arleta Bowhay was crowned the new Miss Rodeo Canada tonight at the 38th Canadian Finals Rodeo on Thursday, November 10, 2011. Four finalists, all hailing from Alberta, competed for this prestigious title. Northlands congratulates Bowhay on becoming the Canadian ambassador for the sport of rodeo. The newly crowned Queen will travel to over 400 events all across Canada and around the world. Her first stop will be at the Wrangler National Finals Rodeo in Las Vegas where she will be joining Miss Rodeo America on December 1, 2011. 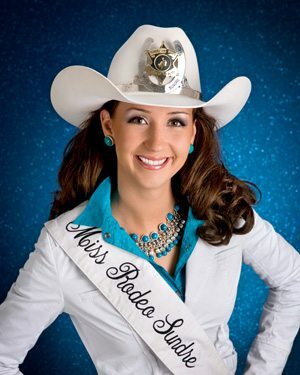 Since 1955, a new Miss Rodeo Canada has been crowned annually. Each Queen, including 2010 winner Kezia Morrison, has been a role model for young girls everywhere and provided an invaluable service to the community through their work at numerous charity events. Click here to watch the Edmonton Sun’s interview with Arleta.